The Progressive Gazette: Tea Party congressman warns Salon: Another shutdown may be coming! Tea Party congressman warns Salon: Another shutdown may be coming! By a 332 to 94 vote Thursday night, the House passed a budget deal that – despite taking money from federal workers’ pockets and leaving long-term unemployed in the lurch – was staunchly opposed by major right-wing groups. Among the critics was Tea Party stalwart and Kansas Congressman Tim Huelskamp, whom Boehner kicked off the Budget Committee in an alleged purge last year. 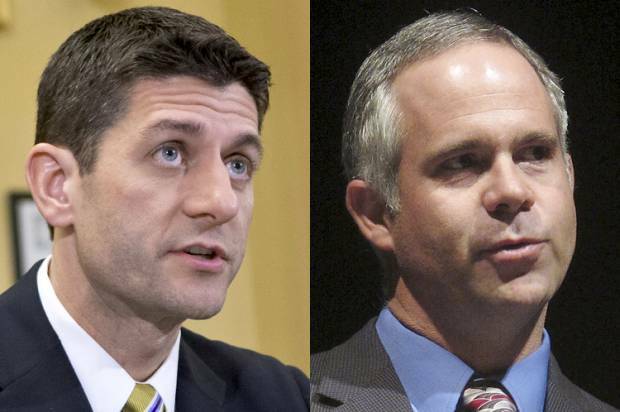 In an interview before the vote, Huelskamp charged that the deal “doesn’t avoid a government shutdown,” told Salon he hears rumors Boehner’s retiring, and skewered Paul Ryan’s response to right-wing attacks on the deal he brokered. A condensed version of our conversation follows. Congressman Ryan described this as an agreement that “does not raise taxes, that does reduce the deficit and produces some certainty and prevents a government shutdown.” Why do you disagree with his assessment? It doesn’t avoid a government shutdown. We still have to pass an omnibus bill…Knowing and guessing what Harry Reid might do – not knowing but just guessing, I mean – is that he’s going to ask for more. He’s going to ask for unemployment compensation, something along that lines, as part of the omnibus. And he indicated there’s more debates between now and January 15. And so there’ll still be that debate. The only way – again, the only way you avoid a shutdown is you give everything the other side wants. And my guess is Harry Reid will continue to demand more things.